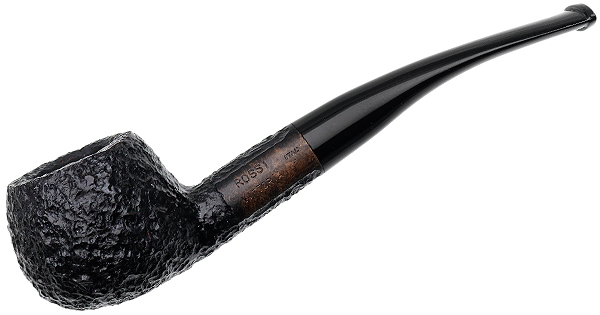 Featuring a mix of standard and more generously-sized briars, the Rossi Vittoria is a ruggedly rusticated series sure to please those with a taste for understated smokers with a touch of Italian charm. Wearing a stem of equally dark vulcanite, it's presented in a fine variety of straight and bent classic shapes. Here we find a lovely Prince rendition, the "8315", with its languid, regal sense of bend and gestural look in profile.